Down’s syndrome is a genetic disorder and occurs when a baby is born with an additional chromosome, (47 instead of 46). It is the most common form of learning disability, occurring in about 1 or every 1000 live births a year. Children with Down’s syndrome are not just generally delayed in their development: they have a specific learning profile with characteristic strengths and weaknesses. 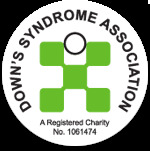 Many schools are now welcoming children with Down’s syndrome into the mainstream and increased involvement with their non-disabled peers, coupled with higher expectations from teachers, means that children are achieving far more – both socially and educationally. There are specific physical features associated with the condition and children may have problems such as eye defects, respiratory problems and heart defects. Learning difficulties range from moderate to severe. The following factors are typical of many children with Down’s syndrome. Some have physical implications, others have cognitive ones; some have both. Like all children with special needs, those with Down’s syndrome need to be treated as individuals. There is a wide variety of measurable ability within this group, which makes generalisation difficult. Many children grow up to lead independent lives within their community, holding down a job and enjoying a lasting relationship.